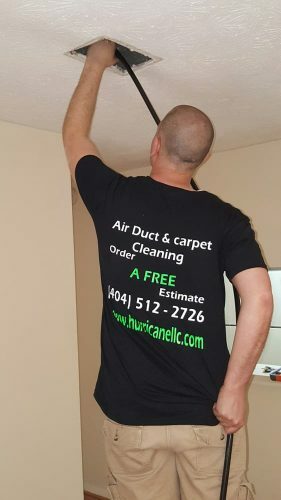 Our team of vent cleaning technicians would remove every register to access to the whole duct system for a complete clean. 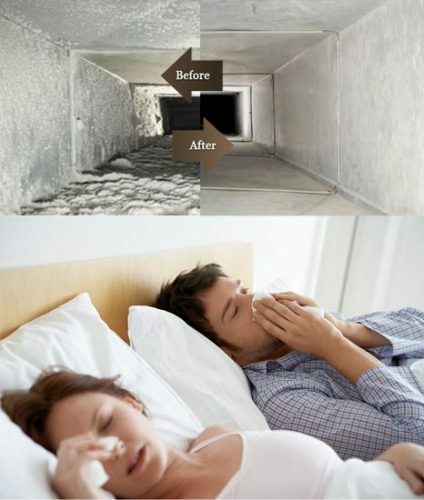 It is how dedicated we are to enhancing the quality of indoor air into your house. Some other air duct cleaners might just reach as far as their equipment, the initial 3 feet of the duct job which doesn’t make for a total clean. Just address the vents and ducts yet ignoring the HVAC unit might leave your system cleaning incomplete. 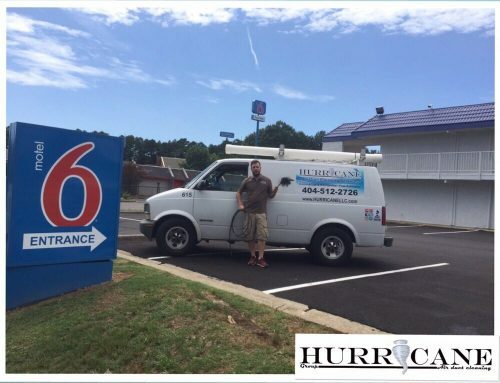 The Hurricane Group holds certifications and licenses which permit their employees to enter and clean your unit. 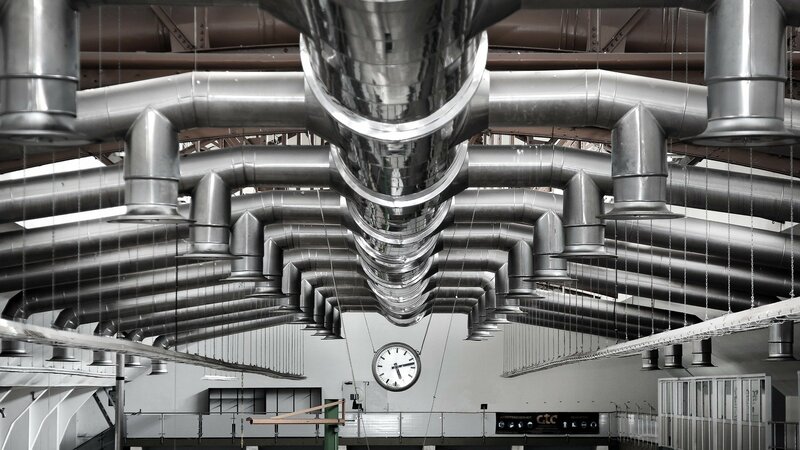 Make sure that you ask our technicians regarding the benefits of cleaning the entire HVAC components. 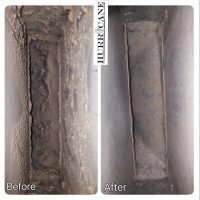 Energy savings and improved indoor air quality are two of the biggest benefits in terms of air duct cleaning and maintenance. Through everyday living, we are generating a huge deal of air pollutants and contaminants like animal dander, chemicals and dust. Such contaminants are pulled into the HVAC system and re-circulated five to seven times each day on average. Over time, this particular re-circulation is causing a buildup within the duct work. 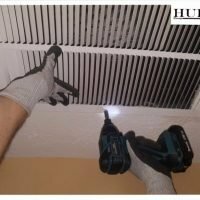 You’re A/C unit and duct work serves as “the lungs of your house”. With no routine cleaning & maintenance, the air quality in your house would last to decline. According to the NADCA or National Air Duct Cleaners Association, a type 6-room house creates up to forty pounds of dust every year through everyday living. Besides, other pollutants or allergens pose a threat to the air quality as well. 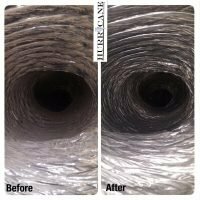 Another major reason for having your air duct cleaned professionally is to upkeep the energy efficiency of your HVAC unit. The US Department of Energy said that up to 40% of the energy used for heating or cooling a home goes to waste. That rate can even go higher when the HVAC system used is not working at its best. A clean and neat system does not have to work hard to maintain the desired temperature. As an outcome, reduced energy is consumed which can lessen your energy costs & help you save money. 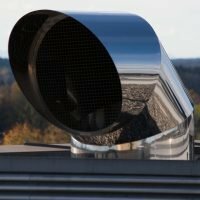 When Should You Consider Vent Cleaning Services? When you learned that your furniture, as well as the other surfaces inside your home, collected more dirt and dust than the usual. When dirt visibly builds up on or all over your vents and registers. If you don’t change the filter regularly as it can result in excessive accumulation all over the system. Potential microbial growth and mildew on some parts of the system. When your house underwent a recent renovation, there might be a formation of pollutants within your air duct system. While conditions are different in each house, it might be difficult to tell whether your air duct needs cleaning. Yet, when someone in the family begins to suffer from allergic reactions or any other unexplainable symptoms then it could mean you should have your HVAC unit inspected by a professional. 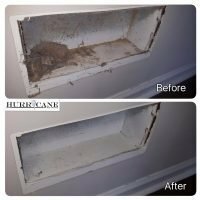 How Does Vent Cleaning Work? A pre-inspection to assess the system’s contamination level to design the best cleaning and disinfection procedure. Eliminate every register and vent, clean them and proceed to the air duct for thorough cleaning. 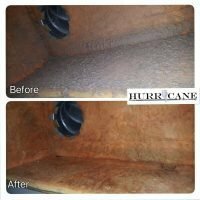 Make use of specialized equipment for removing dust or other contaminants in the openings going over the whole body of the duct run. Debris, dust and dirt are extracted and then collected in a HEPA-filtered vacuum. The return ducts and the supply ducts will be cleaned. Our technicians begin by cleaning the register covers and vents as part of our vent cleaning service. They then use a dust sweeping tool to reach the hard to reach parts of the ductwork. It helps them get rid of things such as animal dander, dust mites and other dirt types which will be otherwise hard to eliminate. Our team also uses a high-powered vacuum system so as to extract and collect dust that were trapped within the equipment. Aside from that, we can also use an optional disinfecting agent for treating mold spores and mildew, fungi, bacteria and some other harmful organism after the mechanical components of your HVAC system were cleaned. 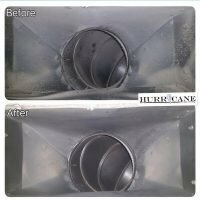 When it comes to vent cleaning and HVAC duct cleaning, The Hurricane Group is the one you can really trust. We are committed to providing high-quality services to help improve your air quality today. Get top notch services at affordable rates. We offer free quotes too. Our vent cleaning service is for both commercial and residential. So what are you still waiting for? Please do not hesitate to get in touch with us if you have any questions. We are just a phone call away. Please call us now at 404-512-2726 and you will be immediately assisted by one of our customer-friendly staff. Get a free instant quote from us at no cost today by completing the given online form.